Thyssenkrupp Elevator, a world leader in urban mobility solutions, is designing and installing up to 40 TWIN elevator systems for 50 Hudson Yards, which will become the fourth largest commercial office building in Manhattan upon completion in 2022. With two cars operating independently in one elevator shaft, the TWIN system will completely transform the building and construction industry in New York City. Capalino+Company Chief Operating Officer Travis Terry sat down with Thyssenkrupp Elevator Vice President Pete Nelson to discuss the process of securing approval for this groundbreaking new technology and predictions on the future of the industry. 1. Can you explain the TWIN system and how it is going to help building owners? 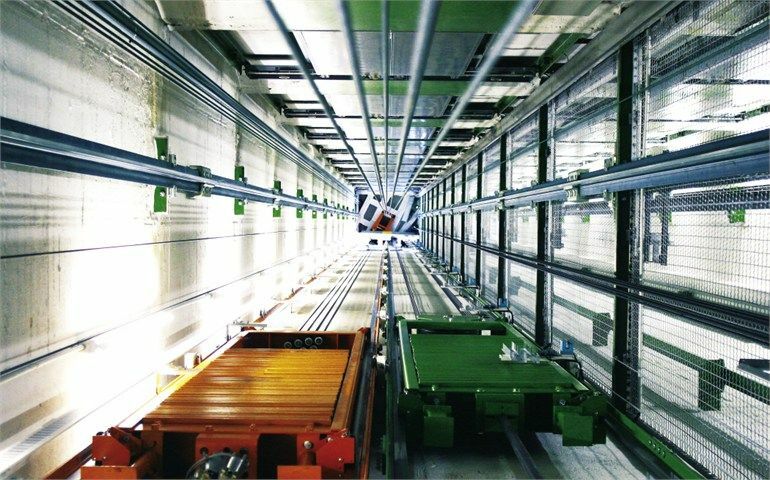 By allowing two elevator cars to operate in the same shaft TWIN offers a better response time for building users along with a reduction in core space making buildings more valuable as the rentable space increases. This core space reduction provides a better investment return for building developers, especially as buildings become taller and more slender in design. This unique technology is based on the latest safety enhancements incorporated into their design. 2. What was involved in securing the approval? Securing this approval was a very lengthy process that involved many meetings and presentations to both the Department of Buildings and the Fire Department of New York. Our initial discussion with DOB was greeted with interest and with guidance from Capalino we began to make progress towards approval to install the equipment from both agencies. Very simply, without Capalino and their knowledge of business needs and City processes the dream of getting this technology approved for installation would not have occurred. 3. Where do you see the elevator industry evolving to in the next 10 to 20 years? We anticipate much quicker acceptance of new technology than in the last 100 years. The Internet of Things (I.O.T’s) – gathering data from sensors and systems and transforming that data into valuable business intelligence via the cloud- will be more prominent within existing operating elevators and will allow us to improve our service and the dependability of the equipment. Core space reduction will be a big concern among architects in designing buildings. 4. Mobility is a growing concern these days particularly as Cities grow. What exciting things is ThyssenKrupp working on in this area? Our newest technology is MULTI which is a ropeless elevator system, with multiple cars in the same shaft and with the distinct ability to move both vertically and horizontally. Yes, a Willy Wonka elevator system and it is currently being planned for the first application in Berlin, Germany. Although approval and application here in the U.S. is far off, we predict that NYC will likely be the first place it will be installed and operating.